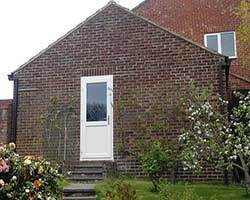 House of Windows are proud to offer an impressive range of external diy upvc back doors supply only. 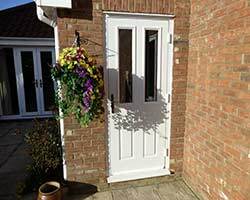 Not meaning to boast but we believe no other online upvc double glazing supplier can offer the same quality and choice of upvc rear doors, whilst exceeding all regulated home security recommendations and standards. Competitively priced from as little as £325 inc. VAT and manufactured to the same standards of excellence House of Windows customers have come to expect from our double glazed upvc casement windows. 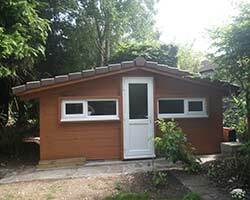 All our external rear doors and frames are made to measure and can be delivered to you within 10-15 working days. 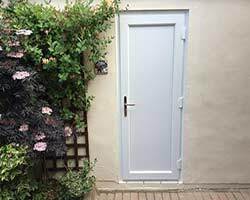 Each upvc back door is fabricated and tailored to your requirements meaning the possible combinations of style, decorative glazing options, hardware and colour finish are endless.